The situation today has worsened. It is estimated that more than 300,000 classrooms and over 5.5 million students are taught by substitute teachers each day in the United States. In 77 percent of school districts across the country, substitutes are given no training. Of those that do, most take less than a day, and some are so brief they include only an explanation of the bell schedule and directions to the bathroom. An explanation of the bell schedule and directions to the bathroom will not assist a substitute teacher with classroom management, teaching skills, or the myriad of other responsibilities during a school day. 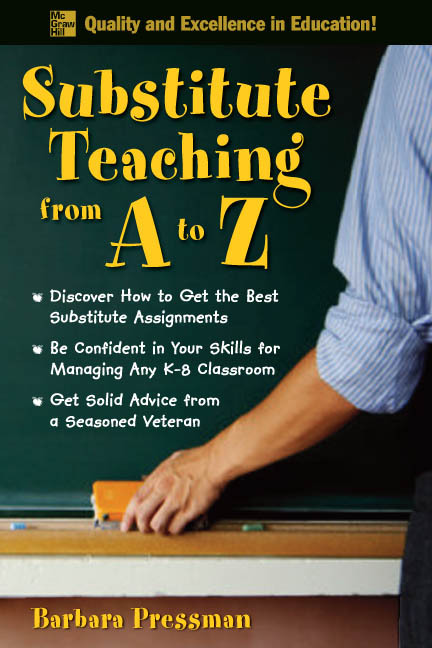 Substitute Teaching from A to Z has been written to provide a ready resource for each substitute teacher. The intent of the book is to improve the quality of substitute teaching skills.